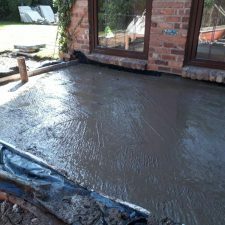 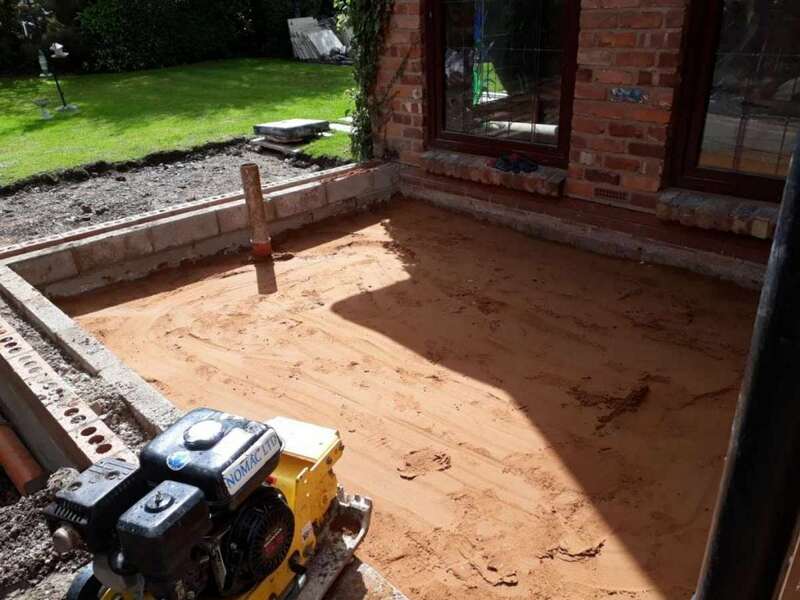 The client wanted an extension and a new patio area. 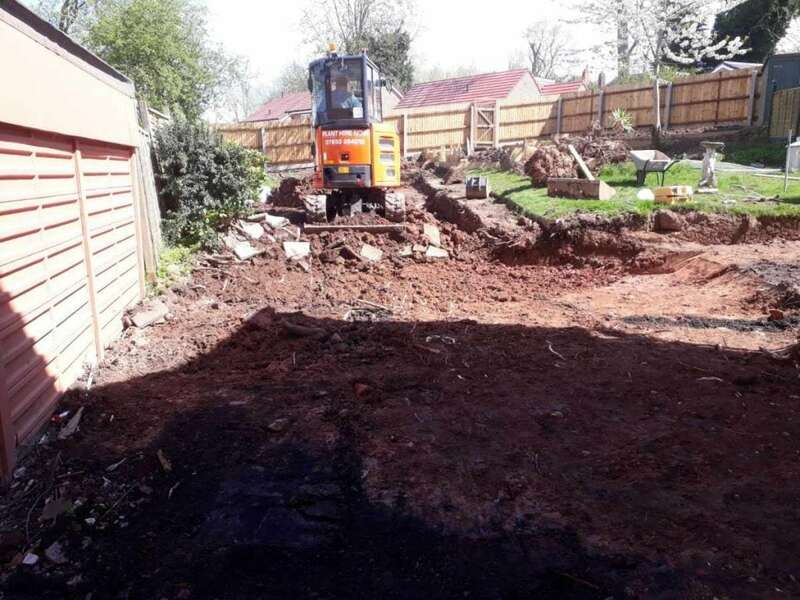 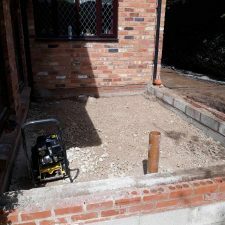 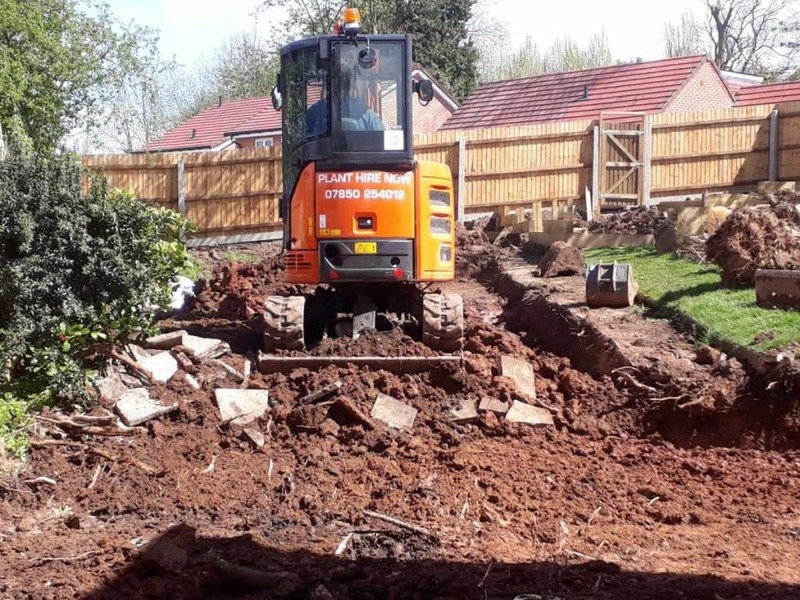 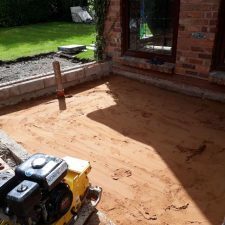 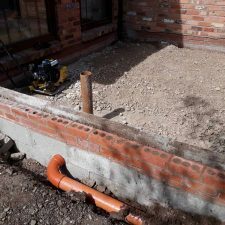 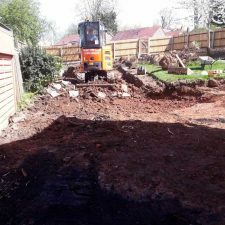 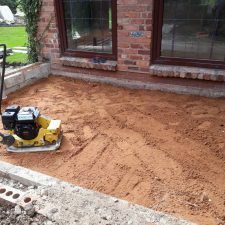 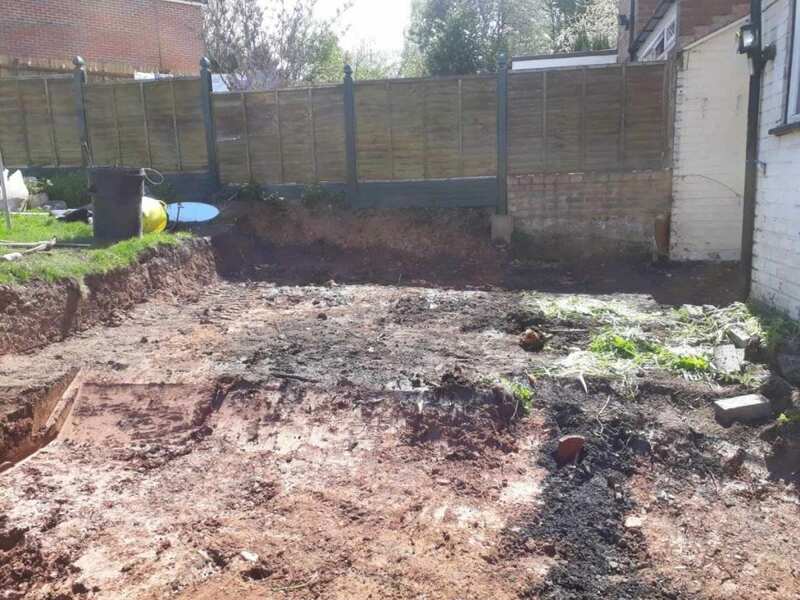 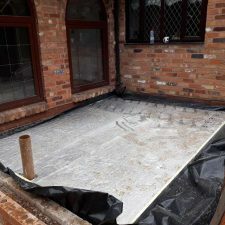 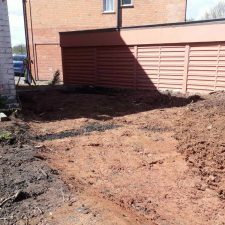 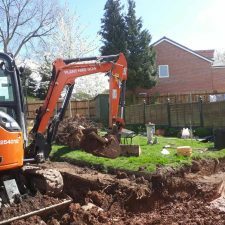 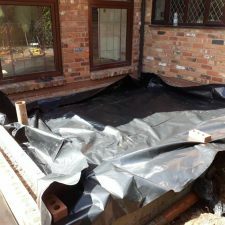 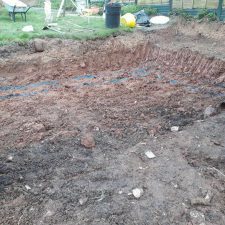 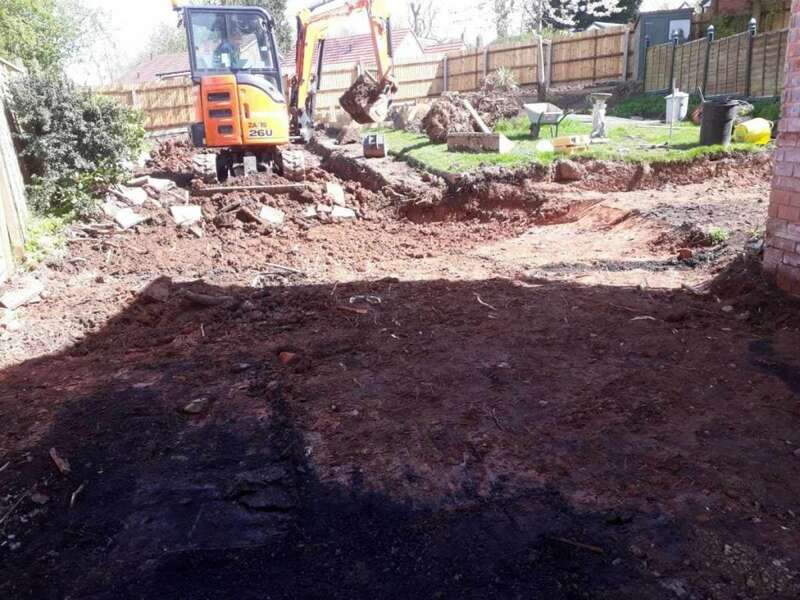 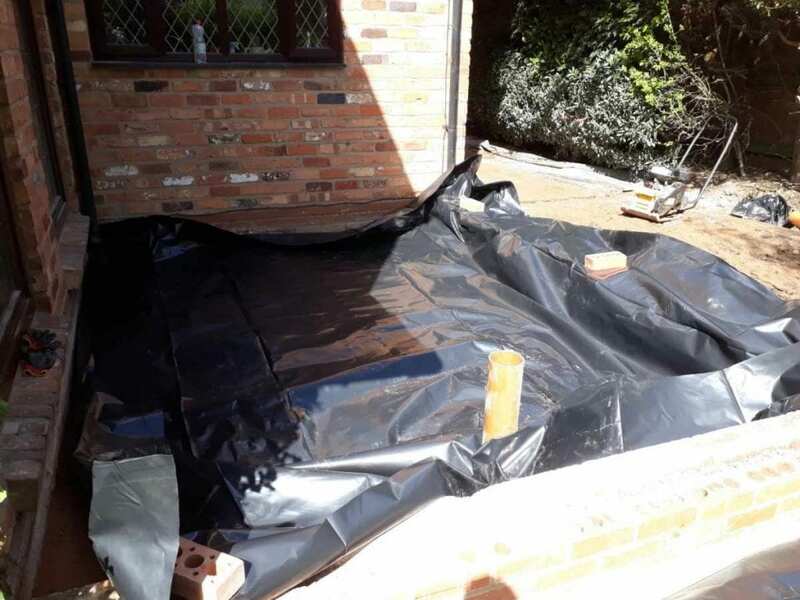 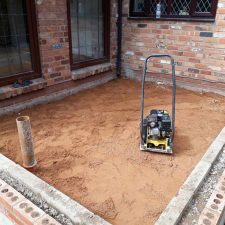 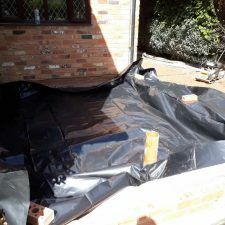 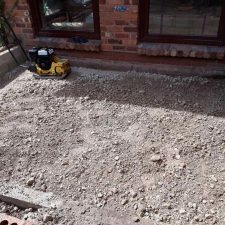 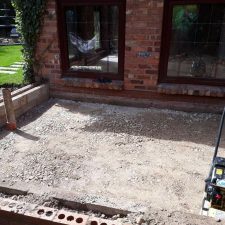 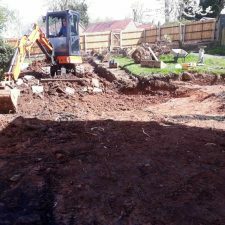 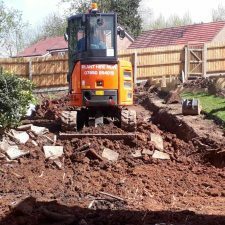 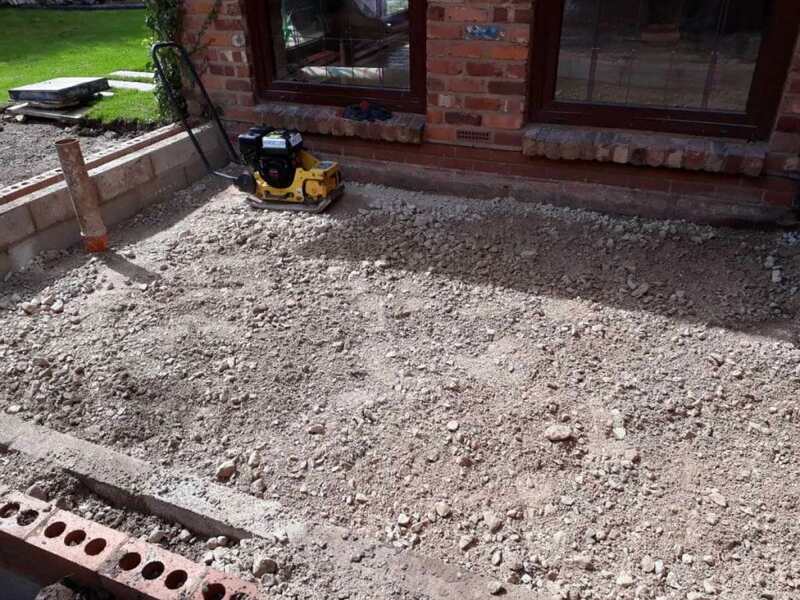 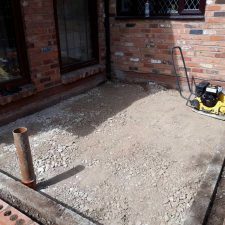 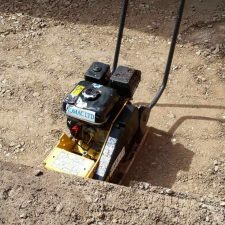 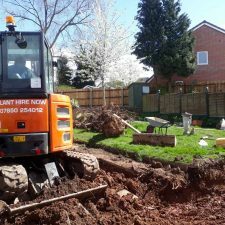 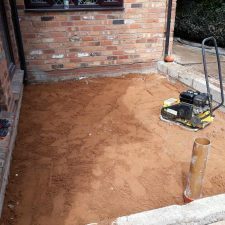 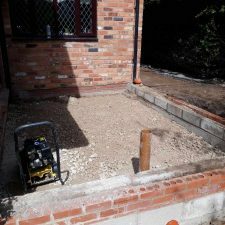 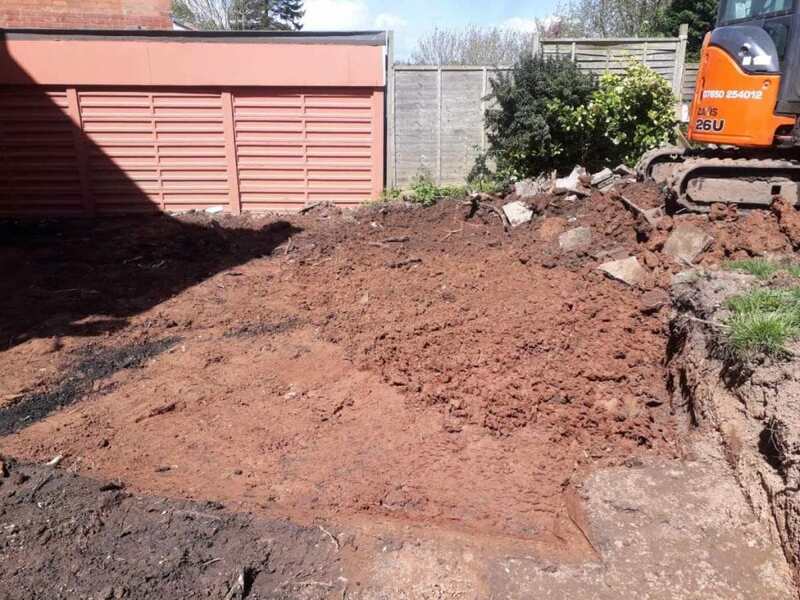 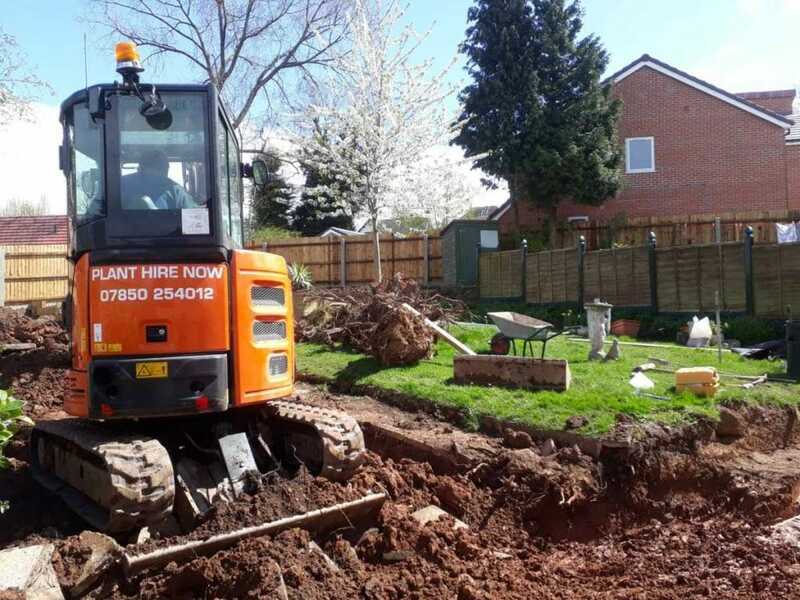 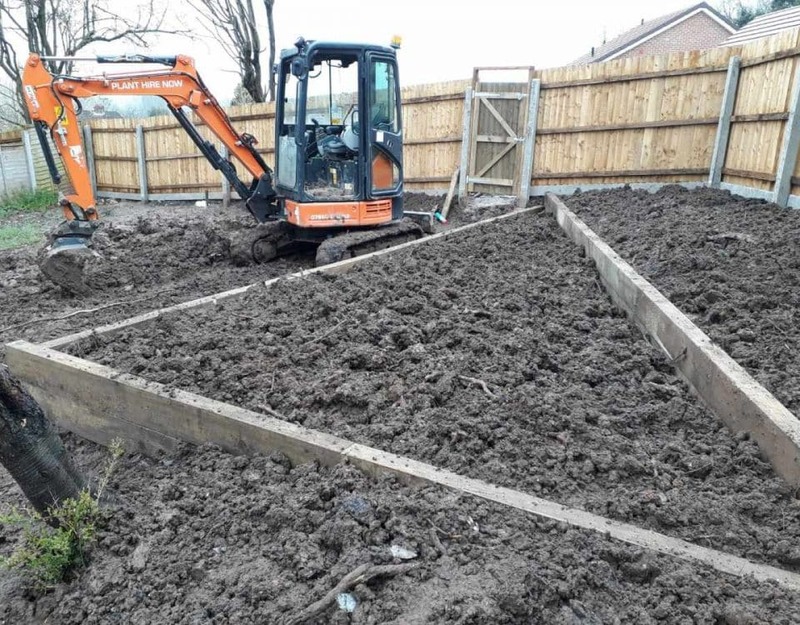 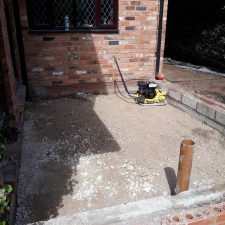 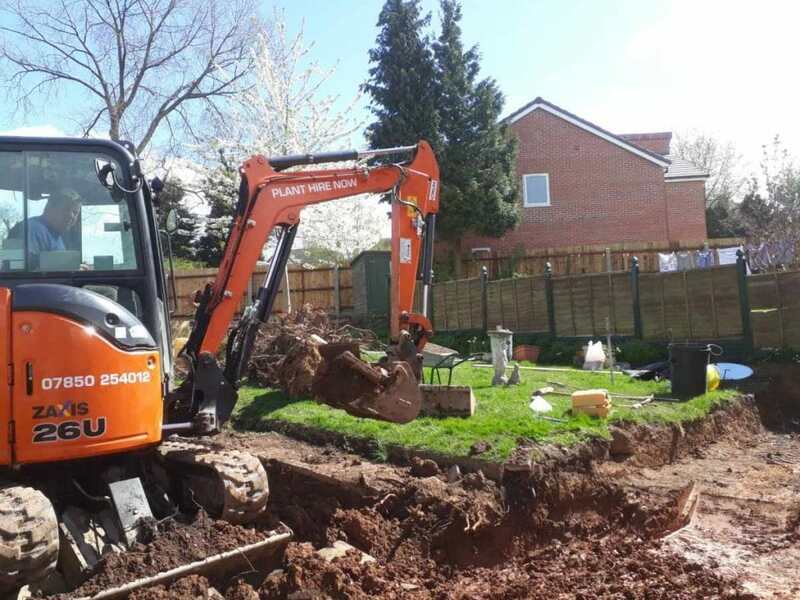 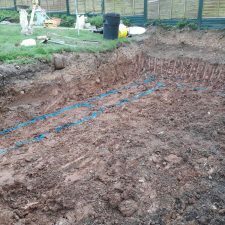 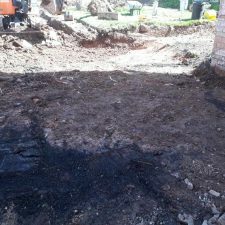 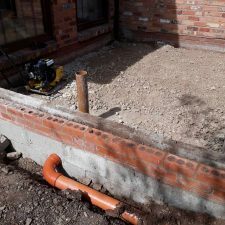 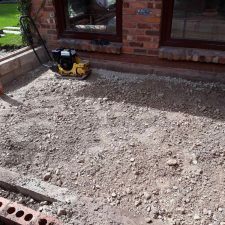 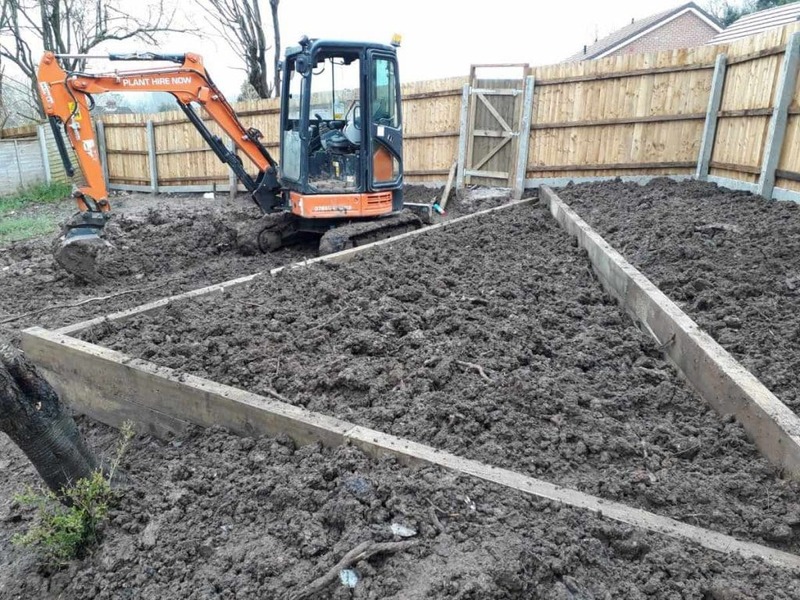 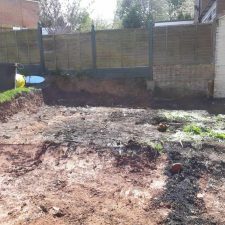 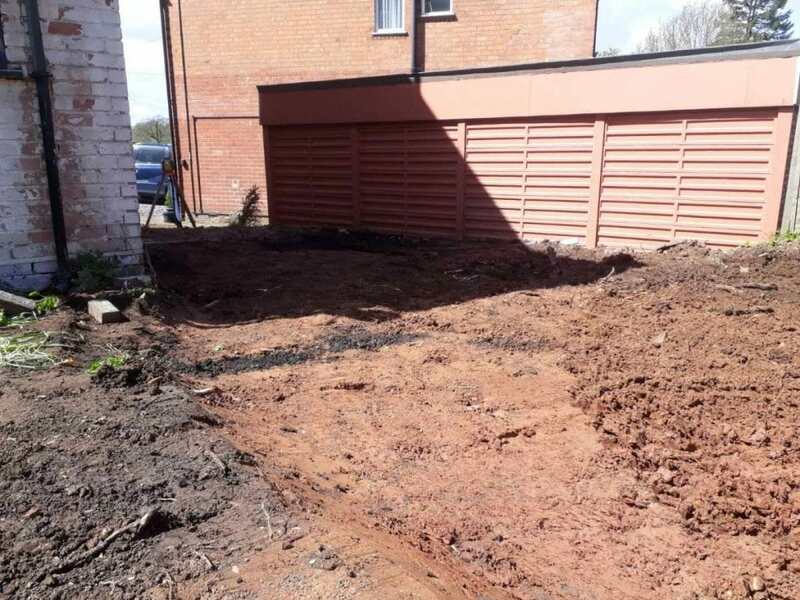 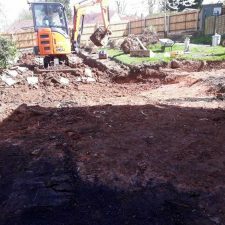 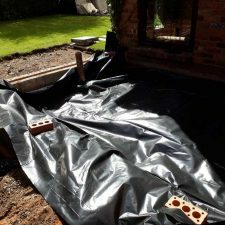 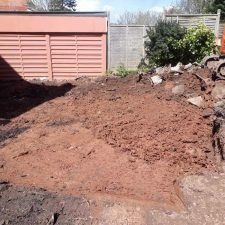 There was a high bank and had to be a reduced dig in order to create a patio area. 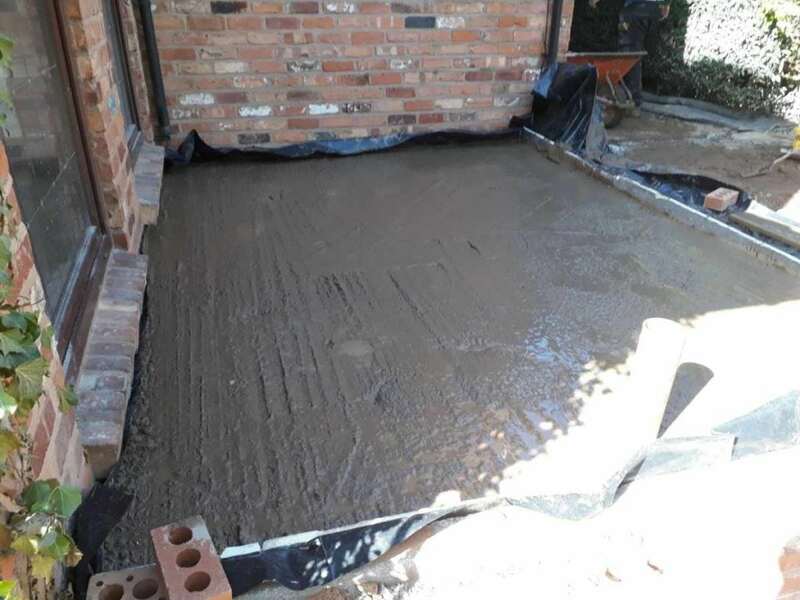 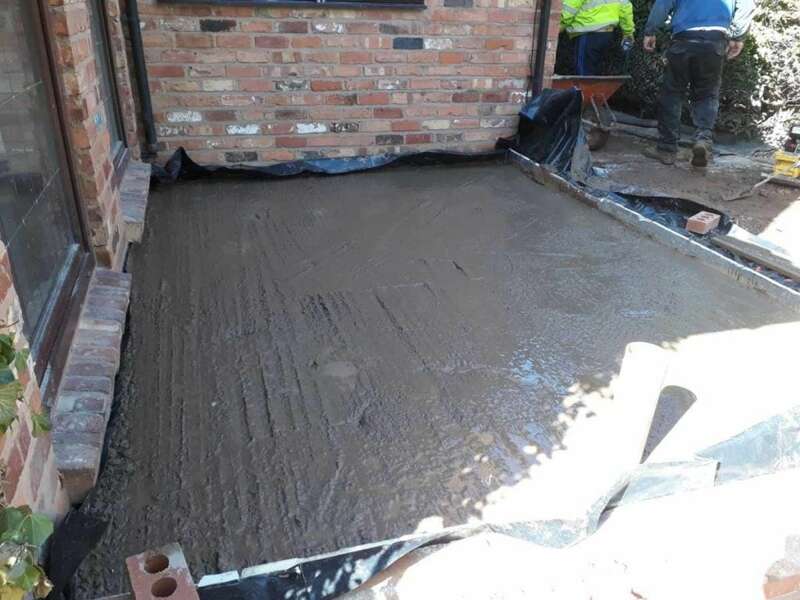 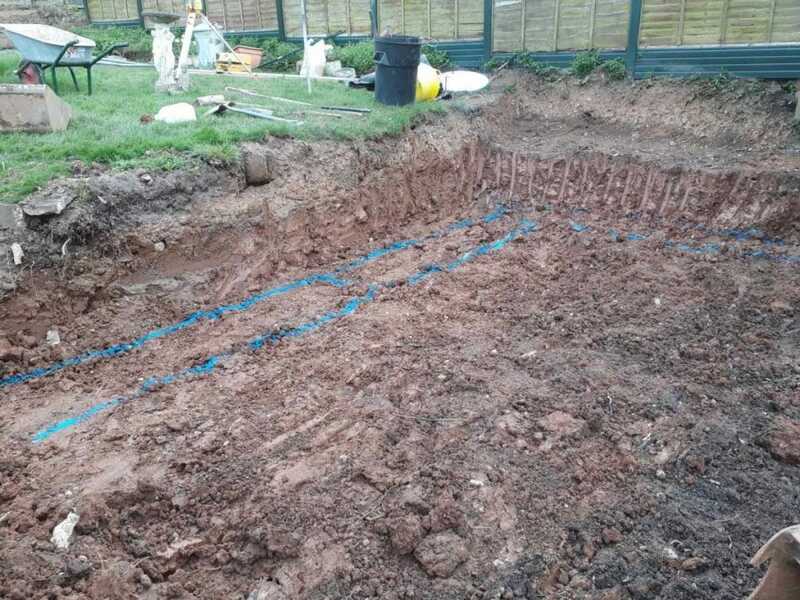 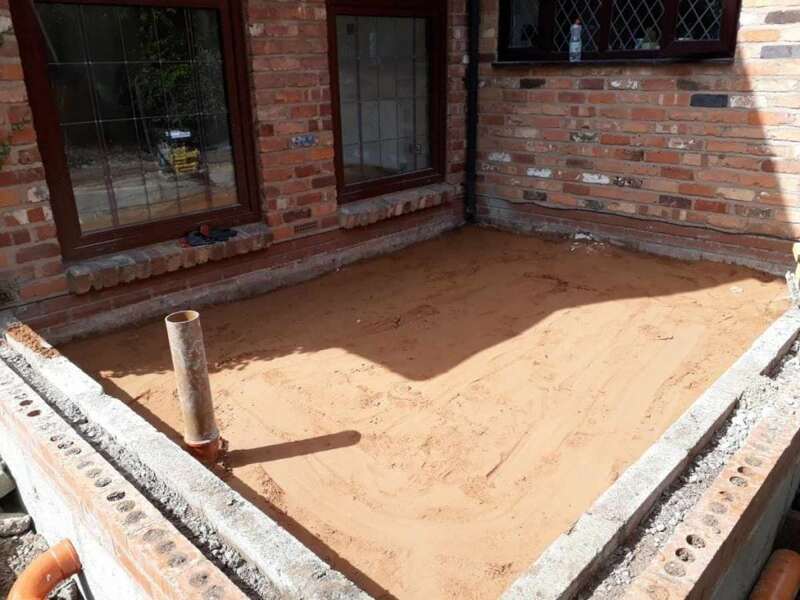 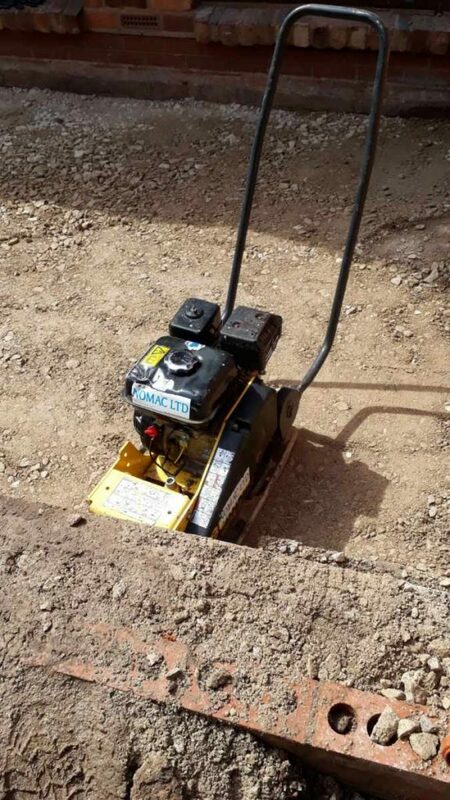 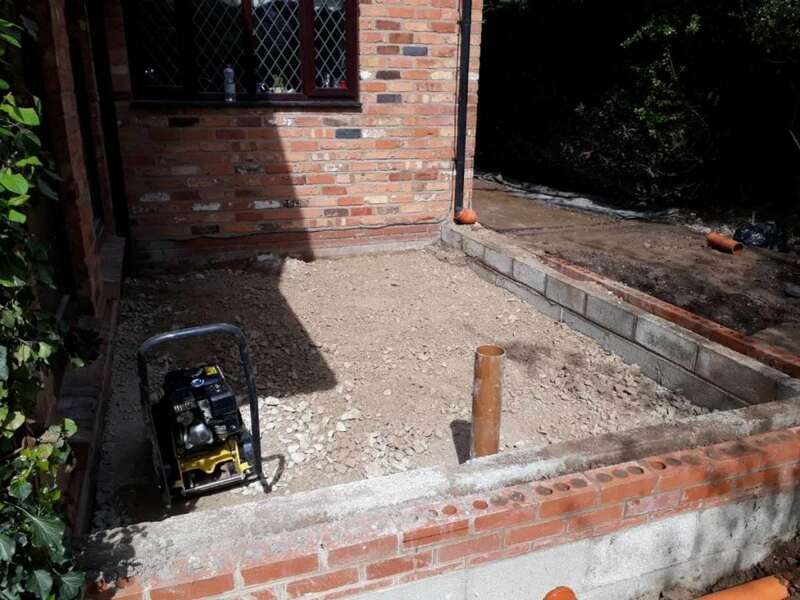 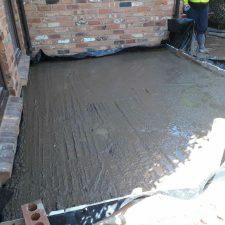 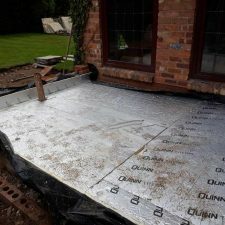 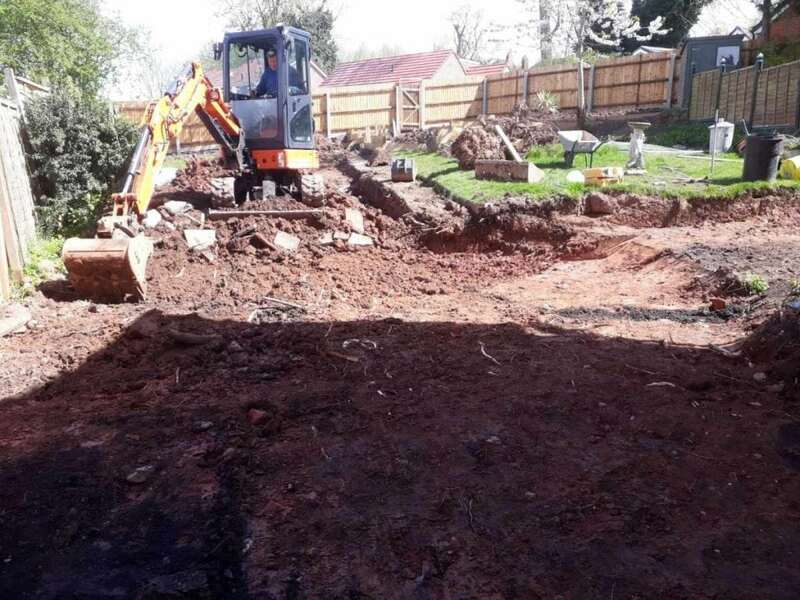 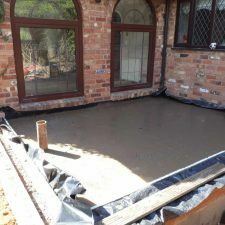 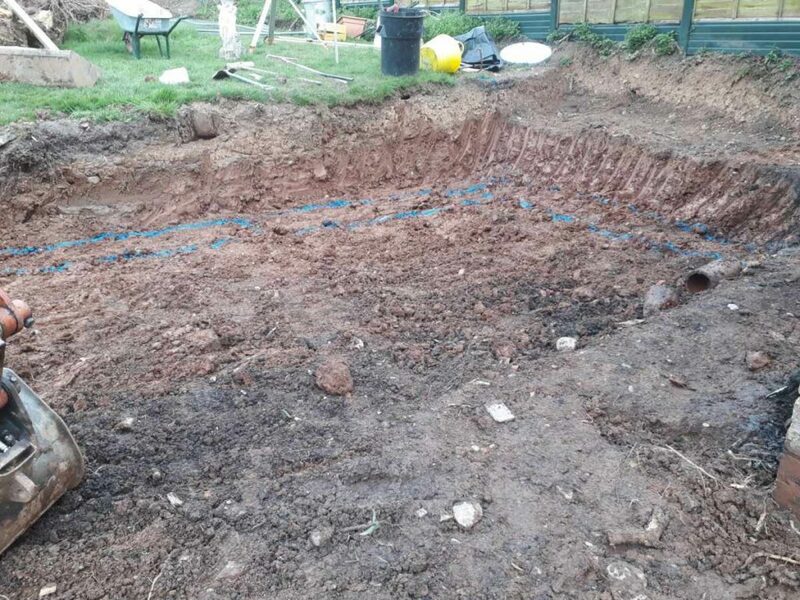 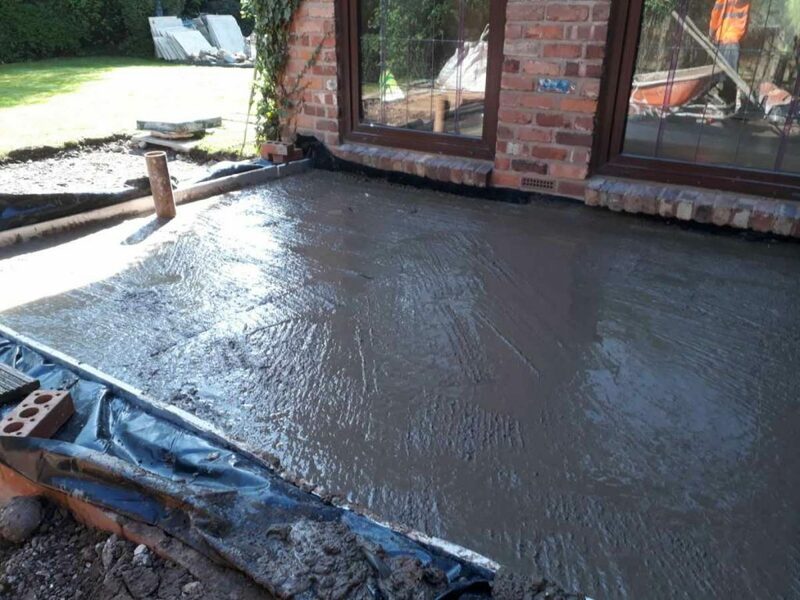 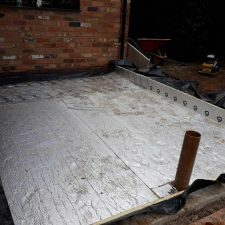 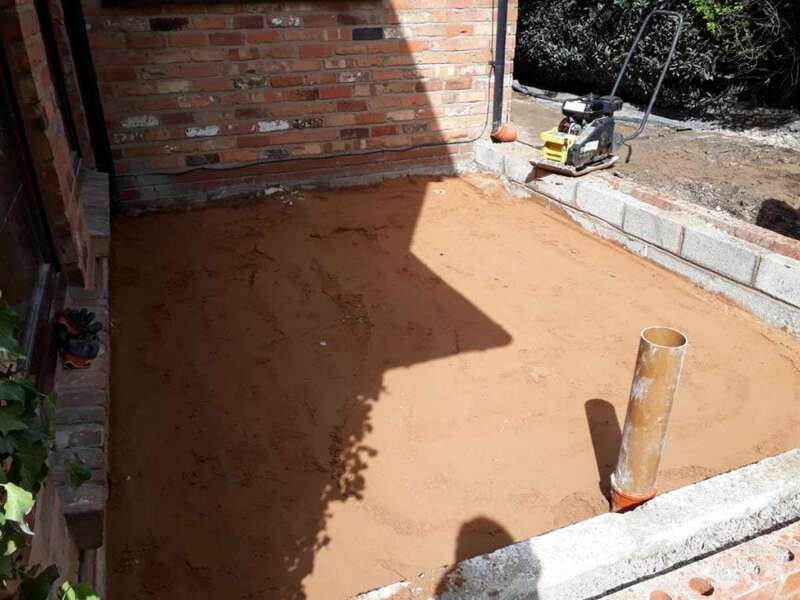 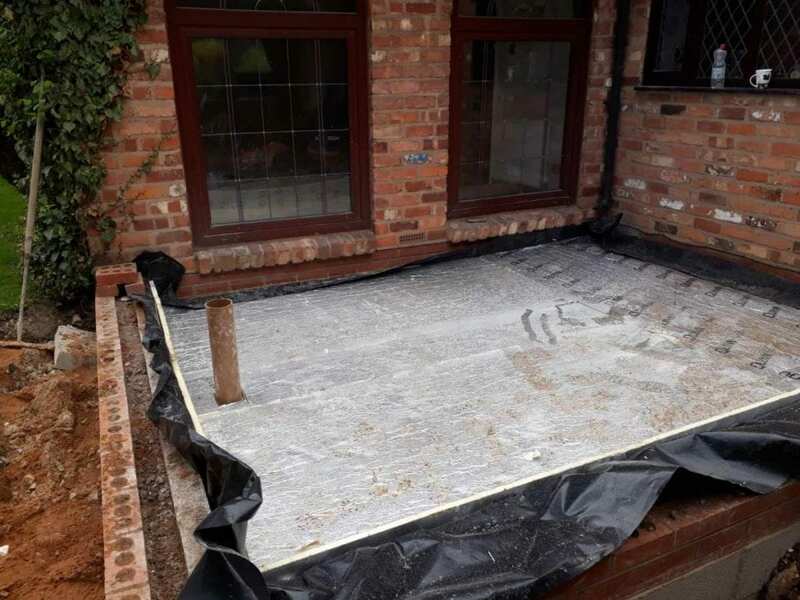 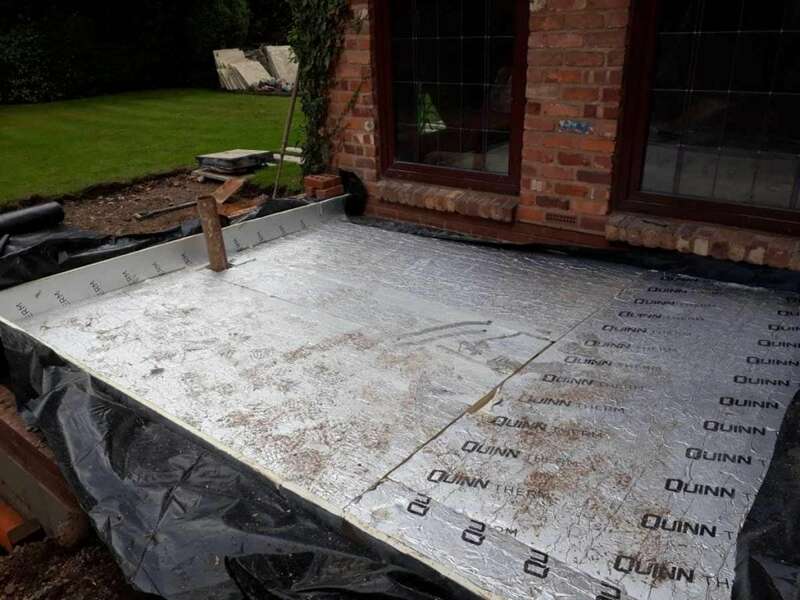 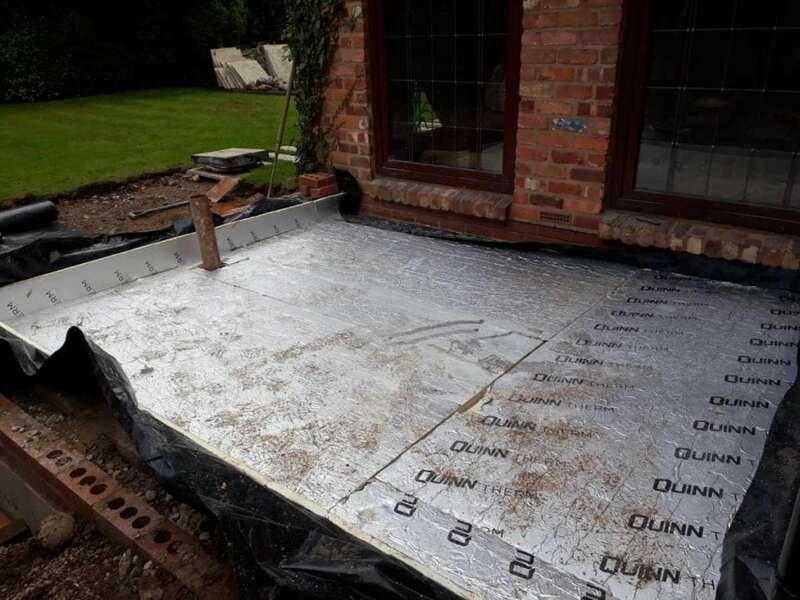 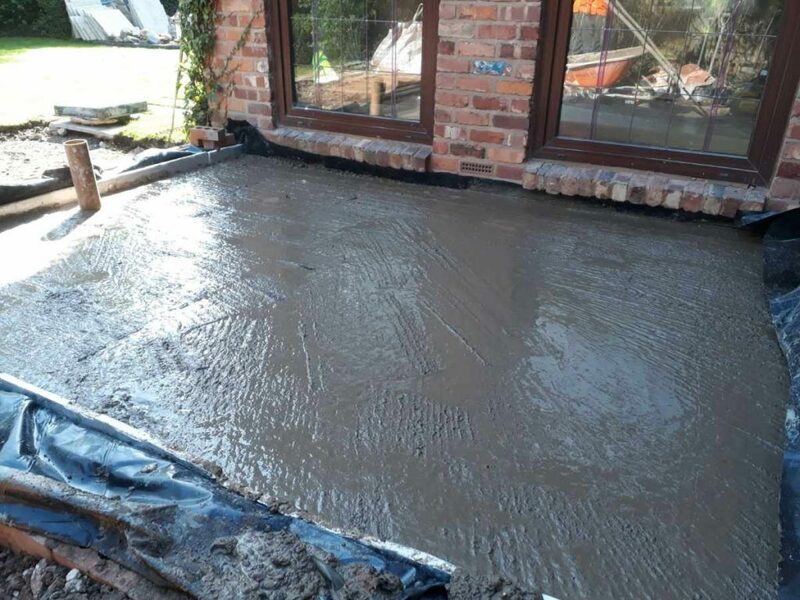 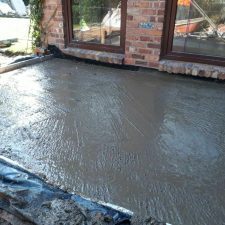 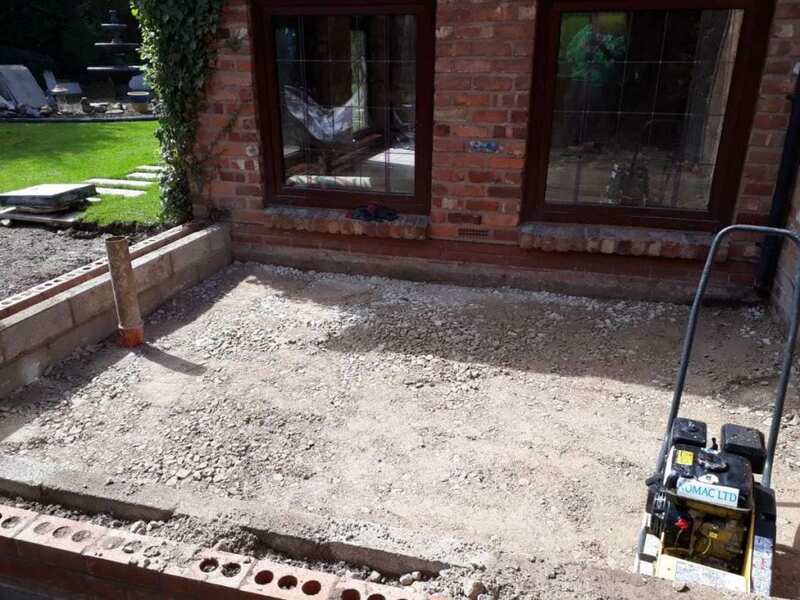 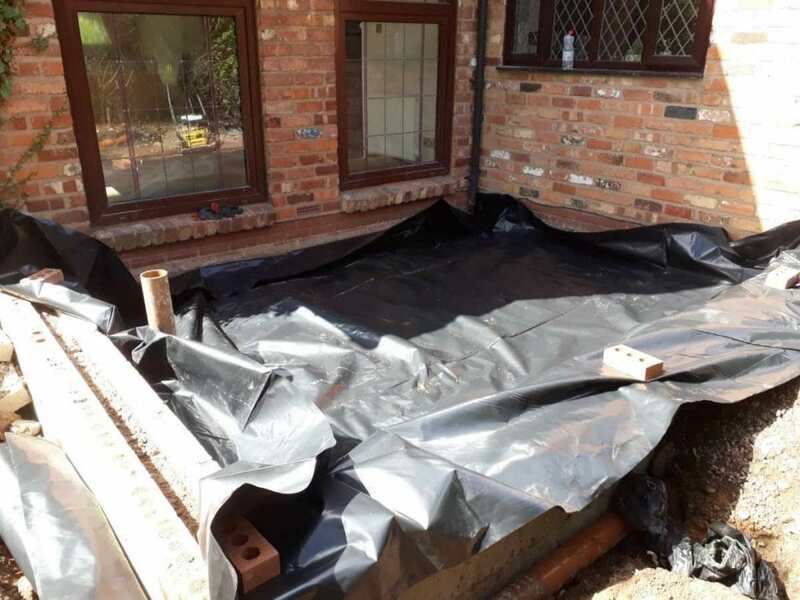 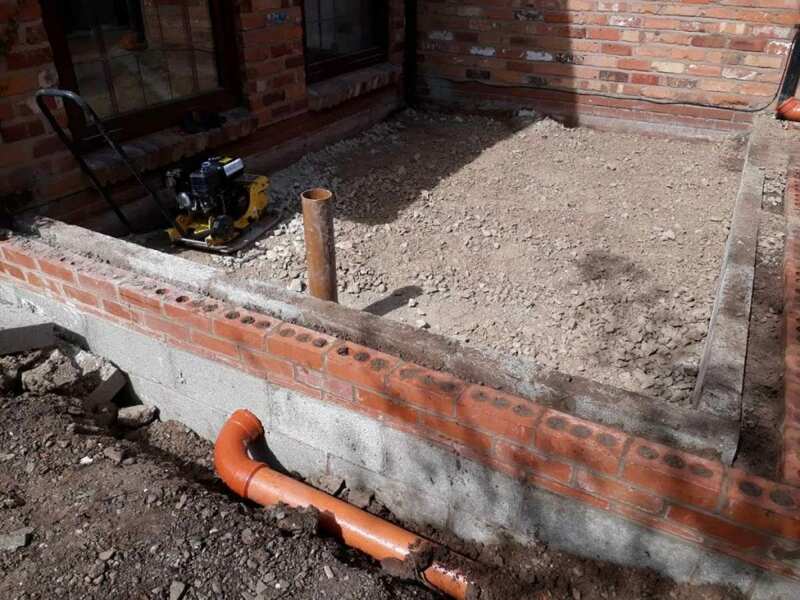 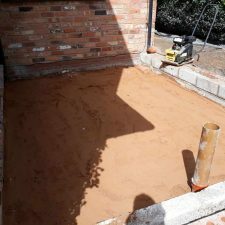 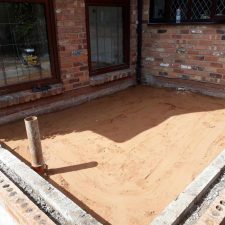 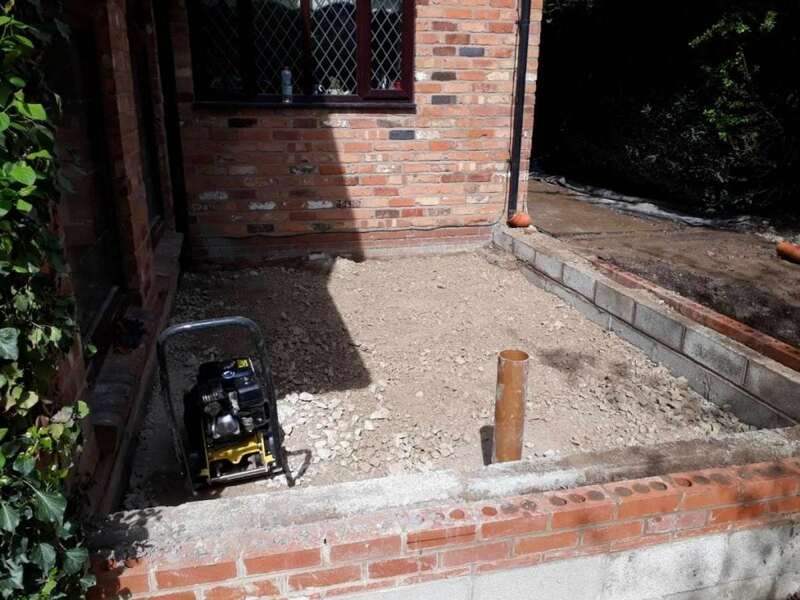 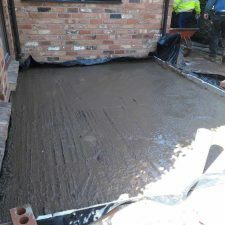 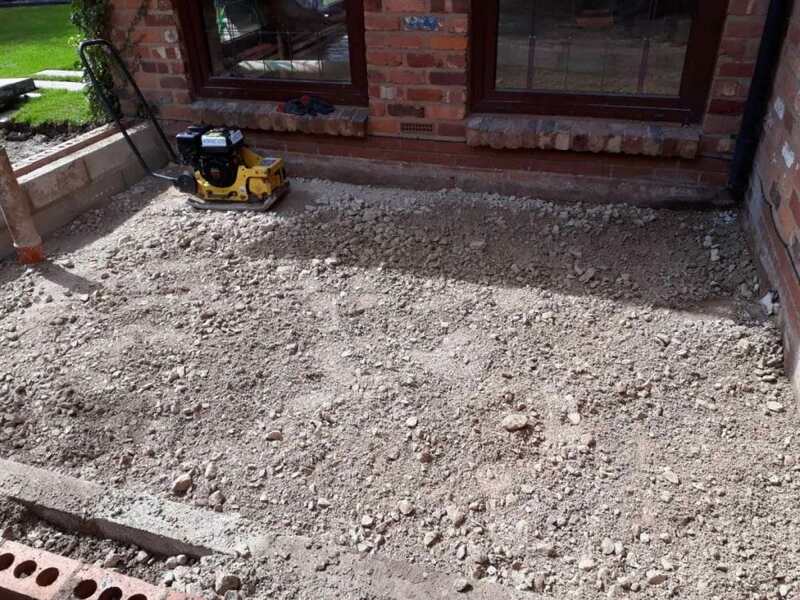 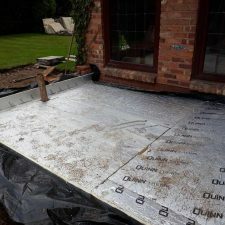 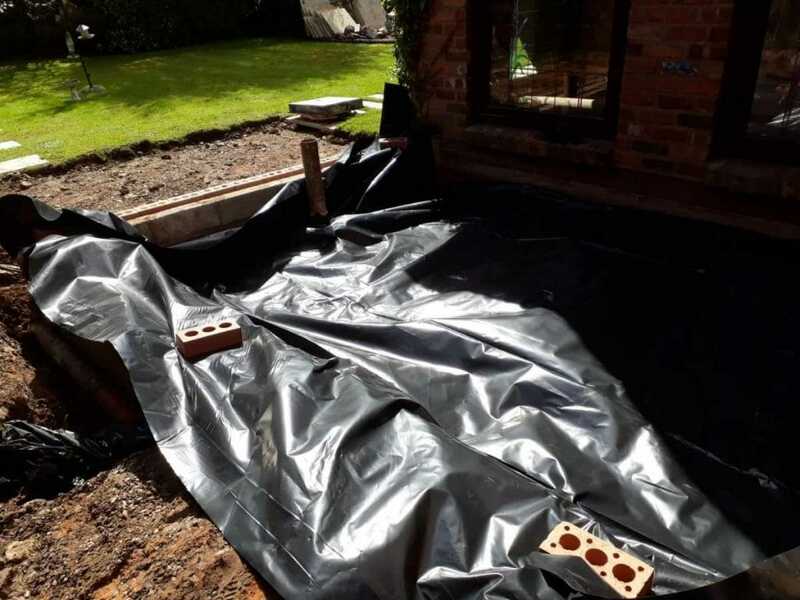 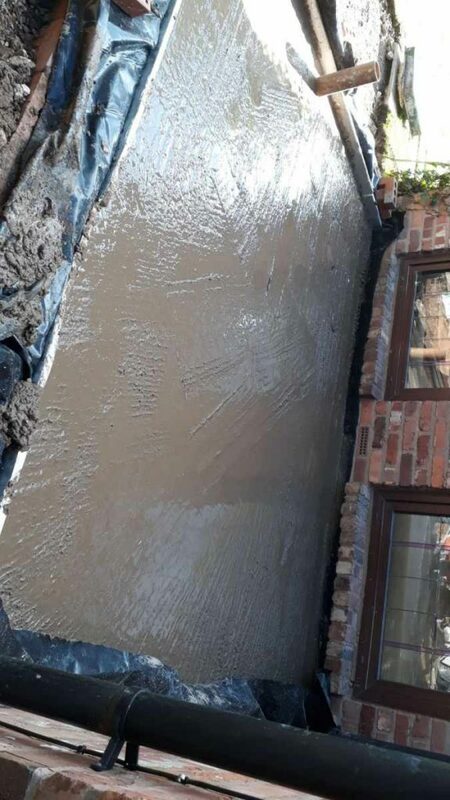 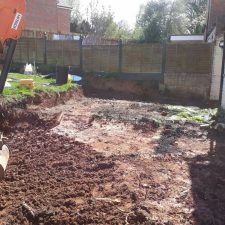 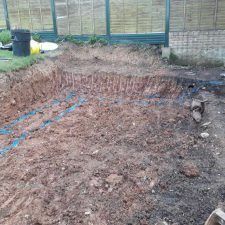 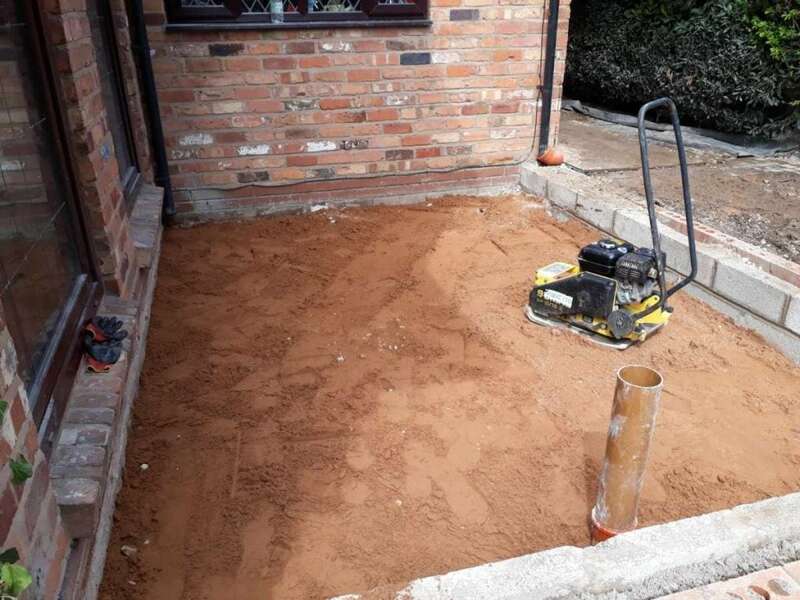 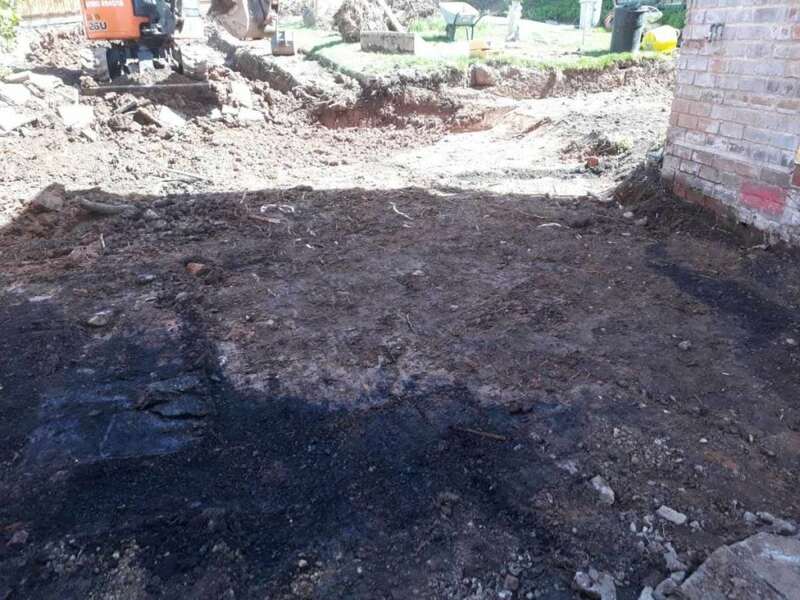 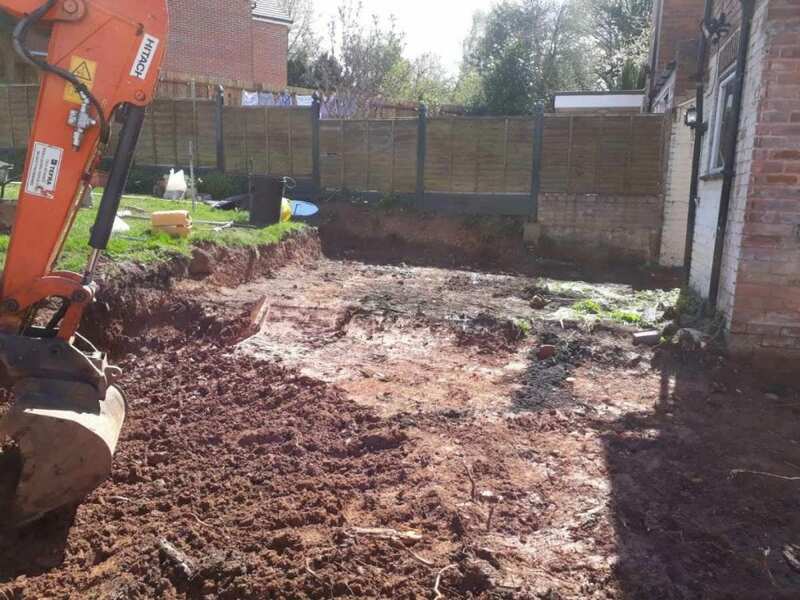 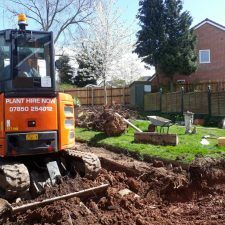 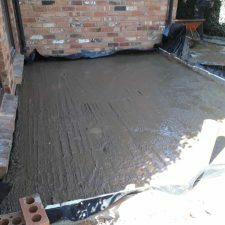 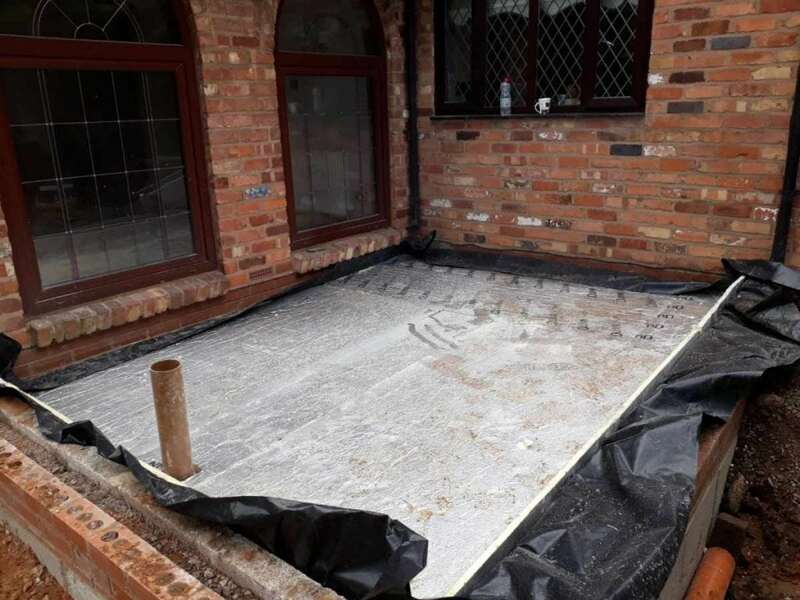 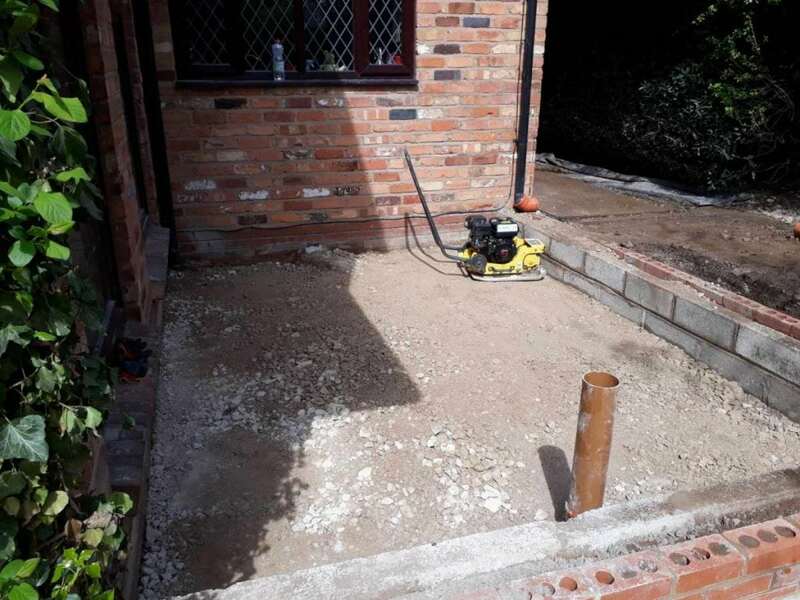 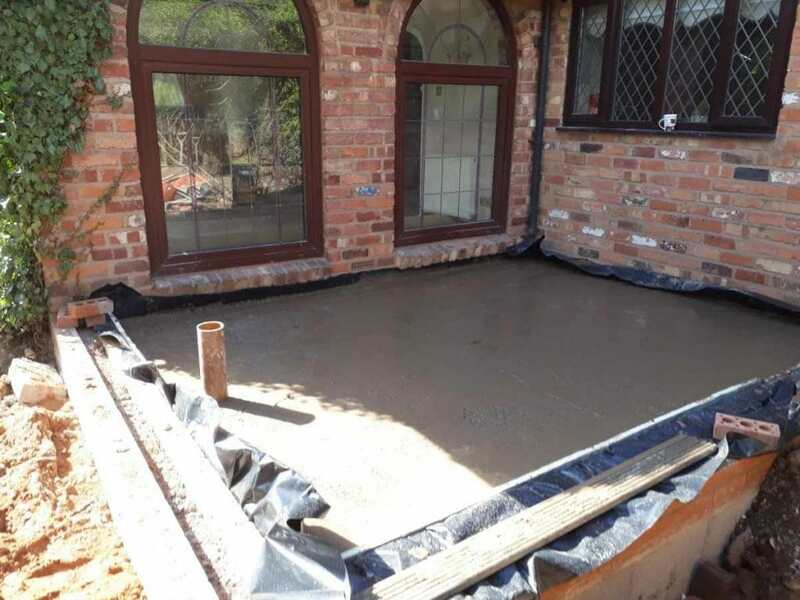 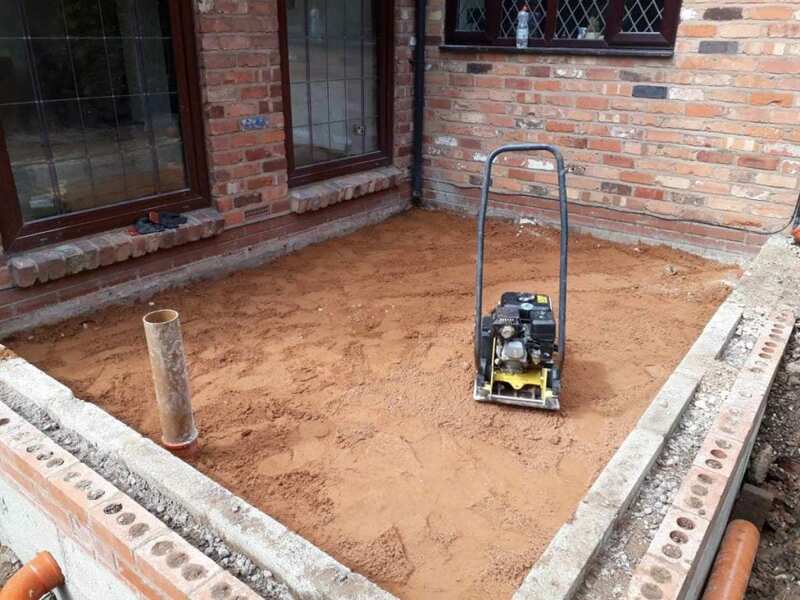 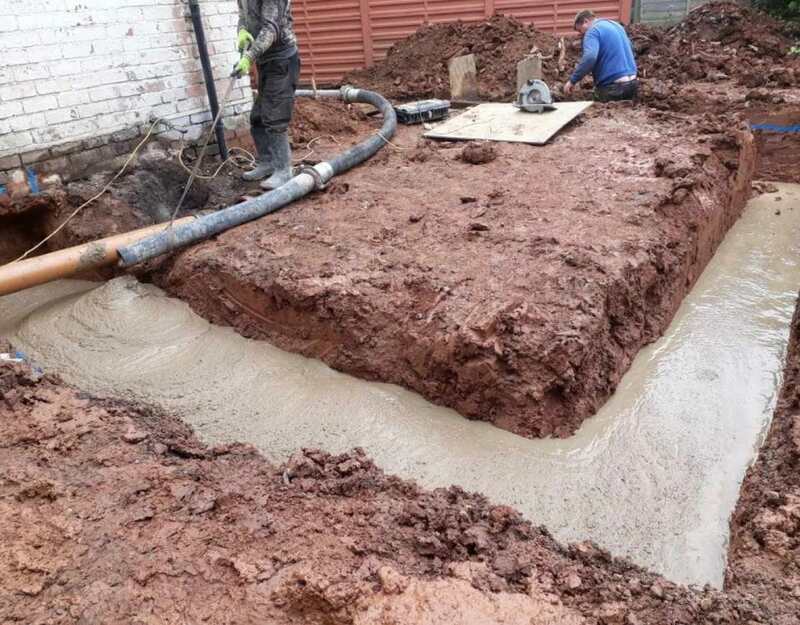 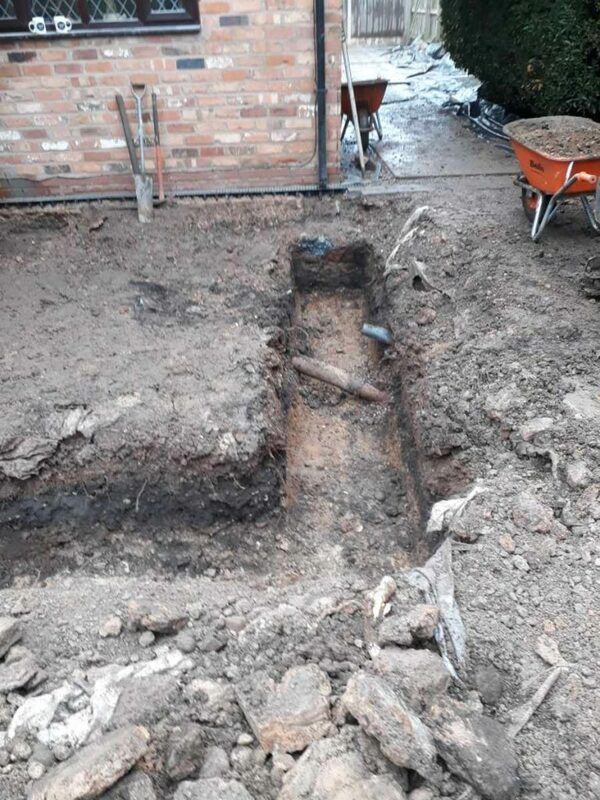 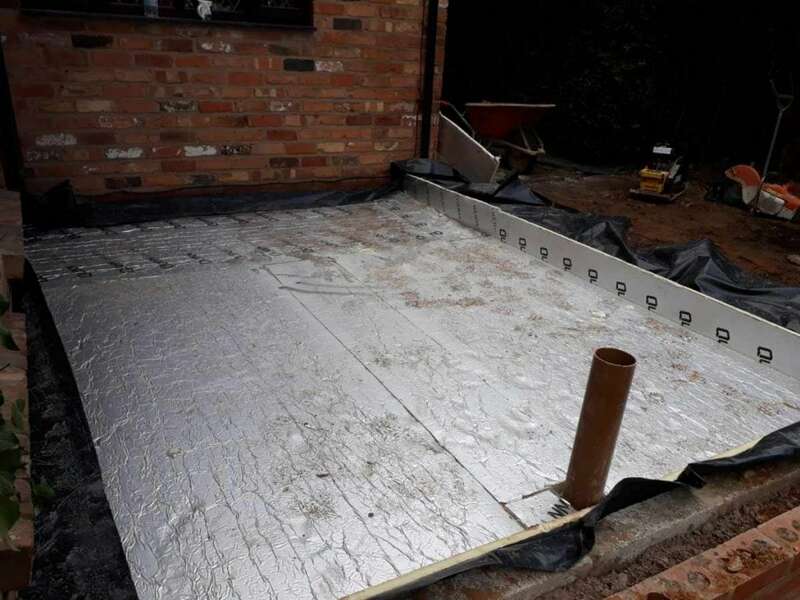 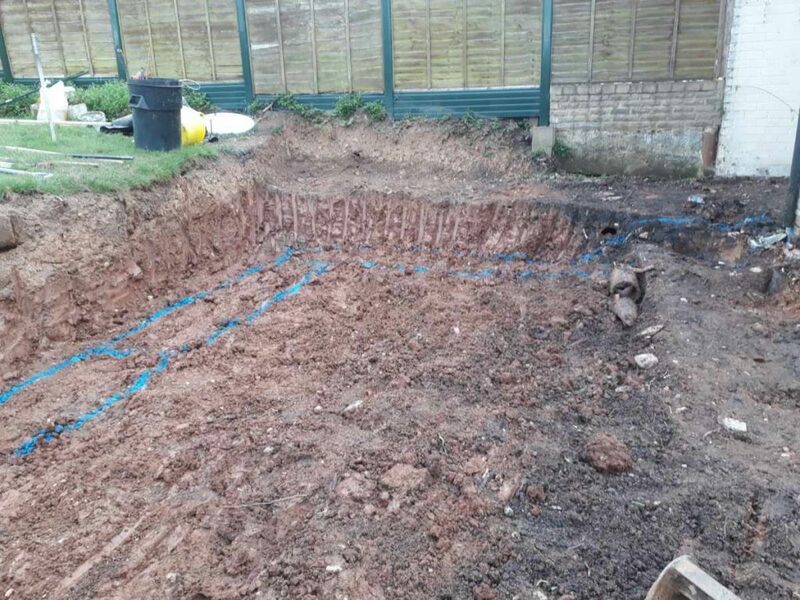 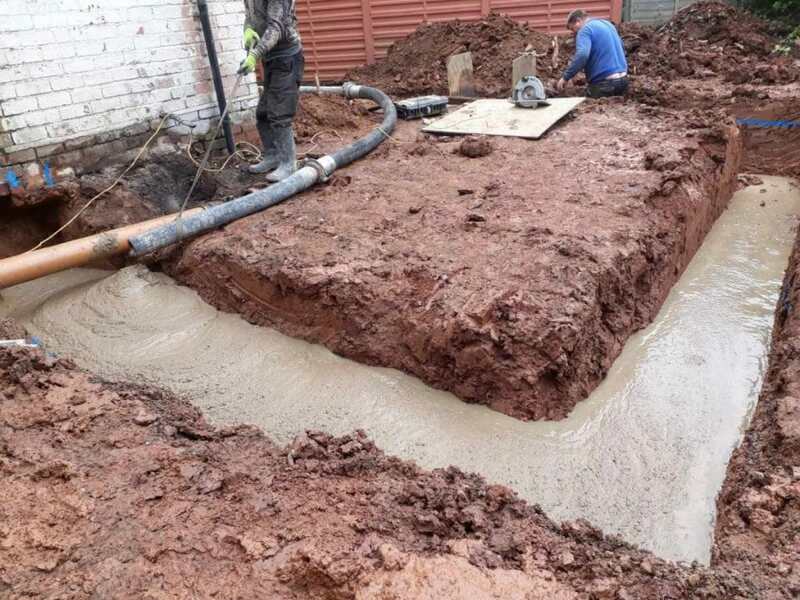 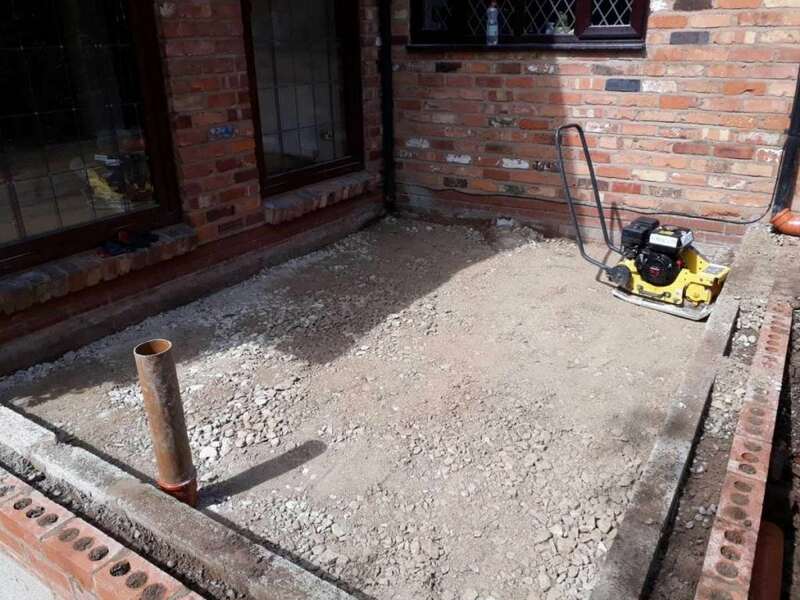 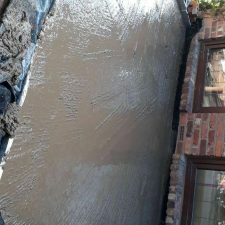 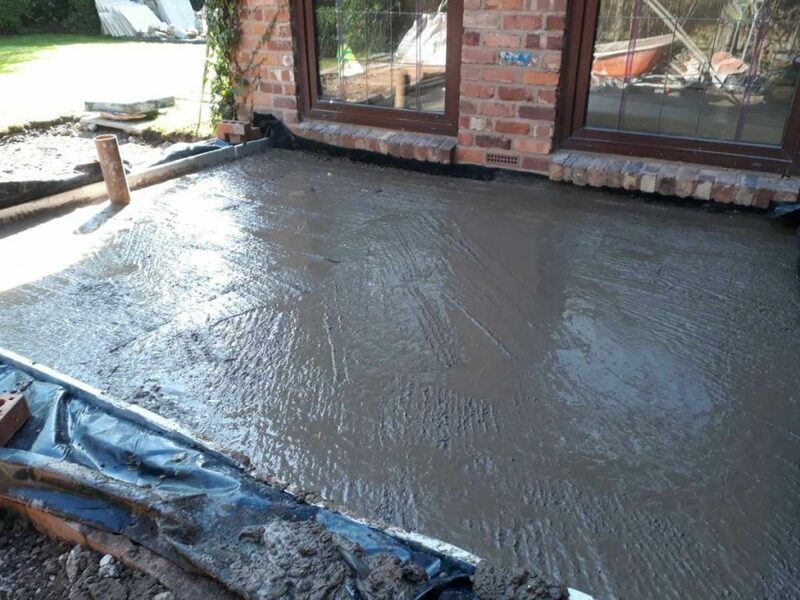 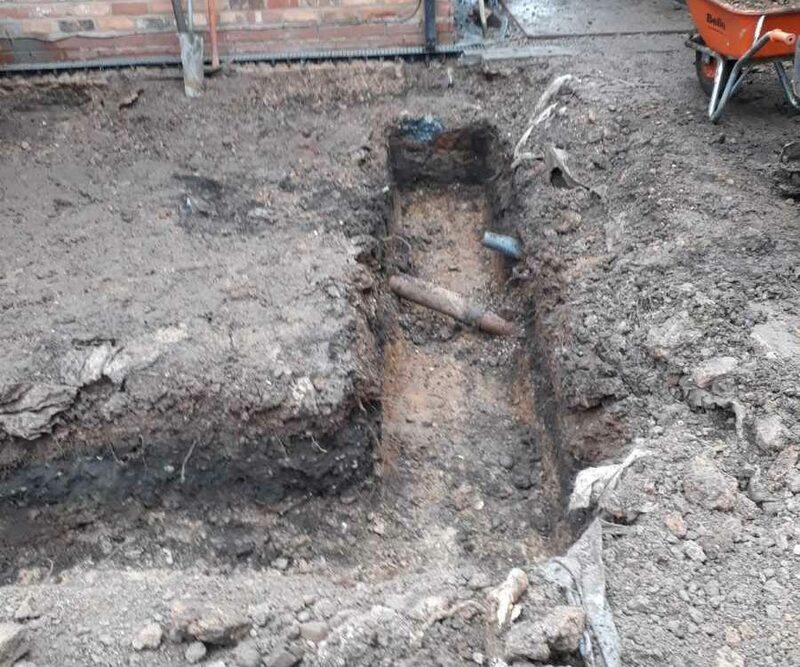 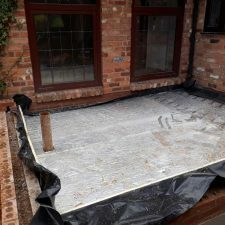 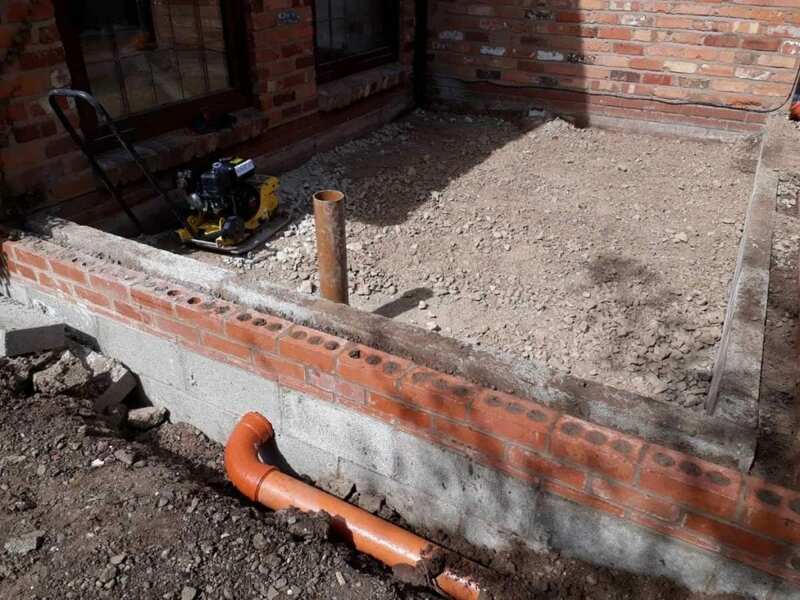 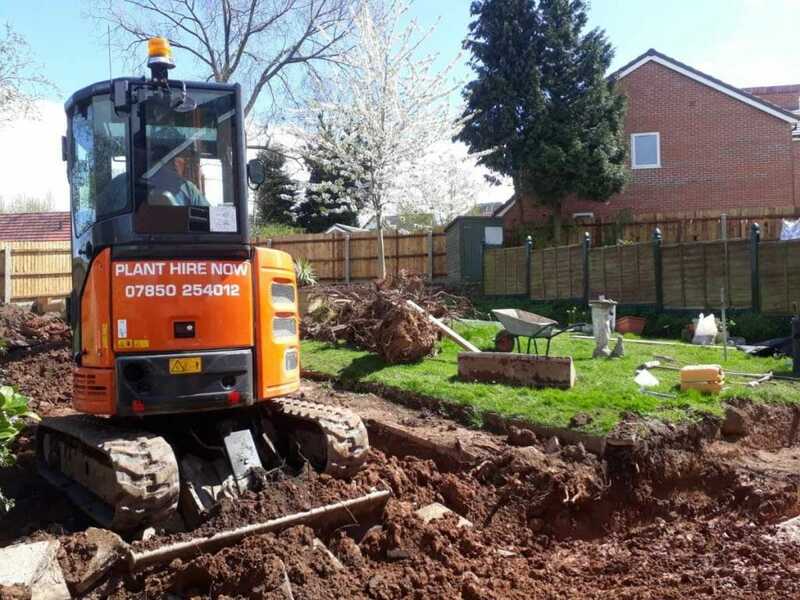 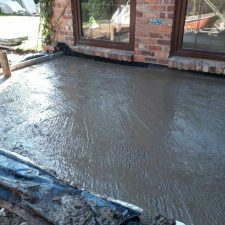 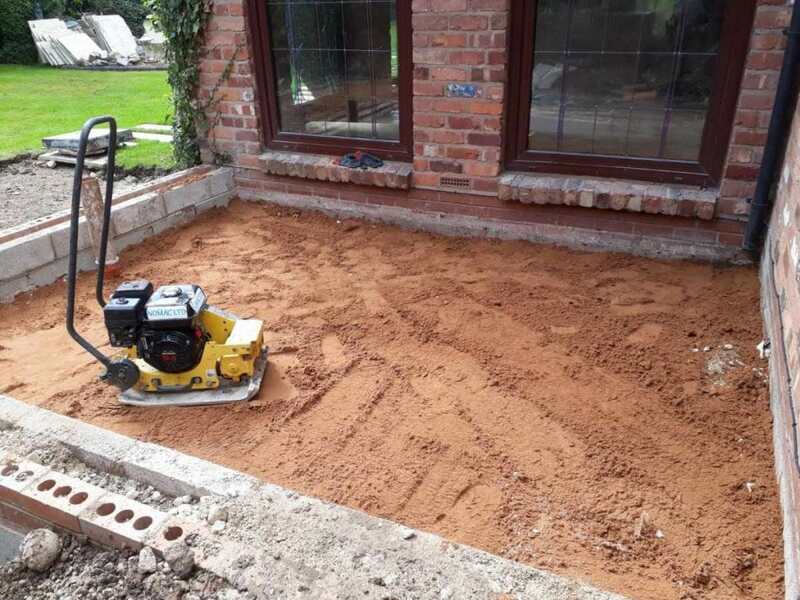 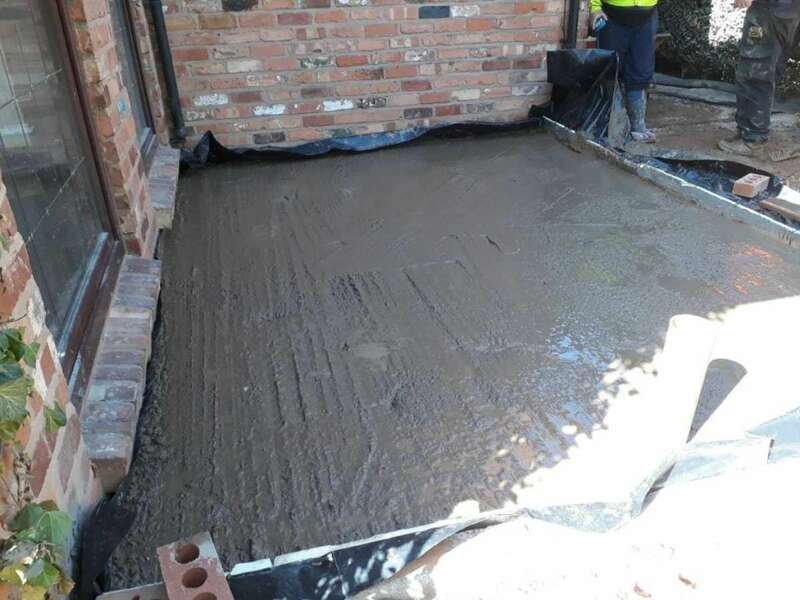 We then dug out the footings, laid DPC, floor insulation and then 100mm concrete floor on top.